NEW YORK -- Whether it’s a video clip of your friend’s dog or a live stream of the presidential debates, you are likely watching more videos on Facebook than ever. And that means you’re also more likely to see video ads. Facebook’s latest strategy is to grow both user-generated and advertiser-created videos as it tries to get a firm foothold in this nascent but growing market. The strategy appears to be working. While Madison Avenue is not known for risky experimenting, advertisers are already testing the waters with live video. General Motors, for example, launched its electric Chevy Bolt EV through Facebook Live this year. “People are spending more and more time on mobile, especially video,” David Wehner, Facebook’s chief financial officer, said in an interview. He said this has been a big factor in helping drive up overall mobile advertising. 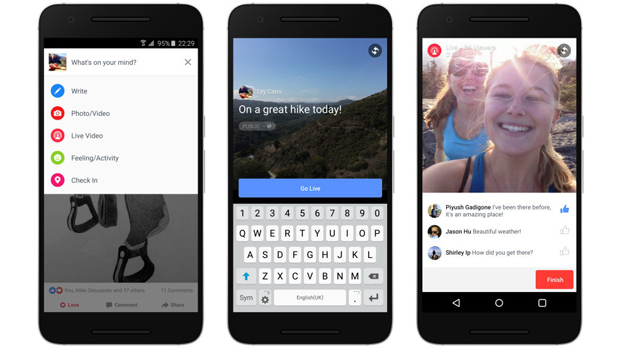 It helps on the video front that Facebook had successfully transitioned from desktop to mobile, despite early doubts. Now, when Facebook tries to sell video to its advertisers, it can simply point to past financial results. The percentage of ad revenue that came from mobile has increased every quarter since the company began reporting this figure in 2012. In the July-September quarter, Facebook had $6.8 billion in advertising revenue, a 59 percent increase from a year earlier. Mobile advertising accounted for 84 percent of this. Facebook had 1.79 billion monthly users as of Sept. 30, up 16 percent from a year earlier. Facebook earned $2.38 billion during the third quarter, or 82 cents per share, up sharply from $896 million, or 31 cents per share, a year earlier. Adjusted earnings were $1.09 per share, above the 97 cents that analysts polled by FactSet had expected. Total revenue rose 56 percent to $7.01 billion, surpassing analysts’ expectations of $6.92 billion. Where Twitter failed with the quirky, killed-off video app Vine, Facebook is succeeding with Instagram, not to mention its main service. Users are posting and watching live and recorded videos, thanks to more powerful smartphones and a relentless prodding by Facebook to do so. If you use Facebook, for example, you likely received notifications that your friend “is live now” or “was live” - that is, broadcasting live video from wherever they happen to be, doing whatever they happen to be doing. While Facebook does not break out how much money it makes from video advertisements, the Menlo Park, California, company needs them to keep growing revenue at the impressive rates it has since going public in 2012. Video ads make up a small but growing slice of the overall digital ad market. Research firm eMarketer expects U.S. mobile video ad spending to hit $7.1 billion in 2018, up from $4.5 billion this year. That’s about 10 percent of the overall money spent on mobile advertisements. EMarketer estimates that Facebook’s global ad revenue will hit $25.9 billion this year, up from $17.1 billion in 2015. The company is the world’s No. 2 digital ad publisher behind Google. Another tidbit: eMarketer estimates that each Facebook user, on average, will generate an estimated $15.83 for the company this year. There have been some hurdles. In September, Facebook disclosed that it overstated the average length of time users watched video ads on its site. The measurement didn’t affect how much Facebook charges to run video spots, but analysts say ad agencies may have used the Facebook estimates as a key metric when they plan campaigns and decide how much advertising to place on Facebook or competing sites.